Nene dominated with 24 points, Trevor Ariza scored 18, and the Washington Wizards rallied from 13 down to beat the Chicago Bulls 102-93 in their playoff opener on Sunday night. John Wall poured in 16 points in his playoff debut. 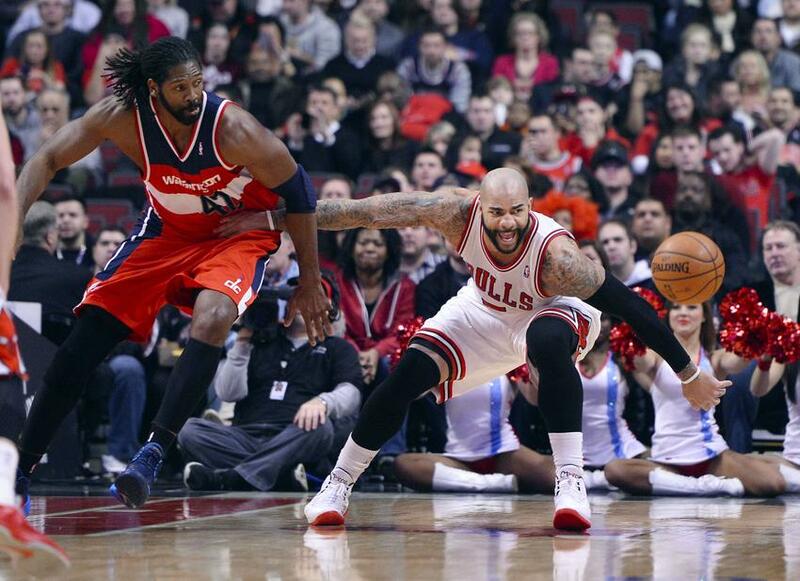 Marcin Gortat contributed to the win with 15 points and 13 rebounds, and the fifth-seeded wizards got the win over the fourth-seeded Chicago Bulls. The Wizards erased a 13-point deficit to just one in third quarter and trailed by just three points going into the fourth, before going on a 18-6 run in the final six minutes of the game to get their first playoff victory since their last appearance in 2008. The next game is Tuesday night. The Bulls have everything to lose as they can’t afford to drop their second game at home, while the wizards will go back in to the United Center with confidence and a cushion.